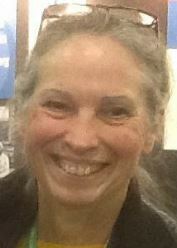 Linda L. Avakian has a Bachelors and Masters Degree in Recreation and Physical Education Administration. She has worked in Social Services and as an Air Traffic Controller in Salinas. 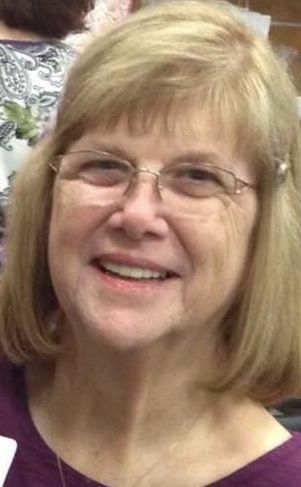 Linda is a two time past president of the Monterey County Genealogical Society and has been working in the field of genealogy for over 30 years. She is an Accredited Genealogist in New England States and is the author of Armenian Immigrants, Boston 1891-1901 and New York 1880-1897. Charlie Biller has an Associate of Science Degree in Electronics from MPC, another one in Construction from Hartnell and a Bachelors of Science Degree in Industrial Technology from UWF. Retired from the US Navy as a Naval Aviator, Charlie has been researching his family’s genealogy since 1999 and is knowledgeable about Hungarian research. Rosemarie Capodicci has been researching her Italian and Portuguese genealogy since 1979 and published the quarterly newsletter for Portuguese genealogists called “Portuguese Ancestry” for 14 years, ending in January 2005. She currently has a column in the Monterey County Genealogical Society newsletter called “Portuguese Corner.” Rosemarie has lectured on Portuguese Research and Ethnic Research 1890-1940 at the 1995 National Genealogical Conference in San Diego; at the DAR/FHC Seminars in Seaside since 1991; at the San Francisco History Fair for three years; at the Annual SHHAR (Hispanic Conference) in 1993 and 1995; many genealogy societies in California and the Monterey County Genealogical Society’s Seminars. In 2010, 2012 and 2014 she co-hosted the 1st Azorean Genealogical Conference in Salt Lake City with Cheri Mello. Rosemarie has also been a library assistant for the Monterey Branch Family History Center since 1989. Gary began his genealogical research in 1990, and his been pursuing both his and his wife Carolyn’s, a seventh generation native Californian, ancestors for the past 24 years. In that time he has located over 20,000 family members to which he and his wife are related. Gary has been a member and officer of the Monterey County Genealogy Society from 1990 to present, and during that time has held several positions on their Board of Directors. He served as president for four years, and has remained Editor of the society’s Bimonthly Newsletter, Society Genealogist and Publications Chairperson. Gary has transcribed two publications for the society. The first, “ Soldiers and Census,” contains the 1790 Monterey Mission Census, 1804 Monterey Garrison Census, the 1808 Monterey Garrison Census, the 1836 Monterey Garrison Census and Ranchos, and the 1850 Monterey County Census Index. His second was a transcription of the 1889 Monterey County Directory covering all of the townships in the county. Gary has been a volunteer librarian at the local Family History Center for the past 20 years. In addition he voluntarily researches and answers queries for three counties in two states on the internet. In 1996, Gary completed “Across the Sea Across the Prairie,” a 300—page history on his mother’s family back to the early 1700s in France. Gary has made volunteer presentations at seminars for MoCoGenSo, the DAR and other societies. In addition he has taught classes on the 1881 British Census, the 1880 US Census, Ancestral File, Pedigree Resource File, Online Census Records, County Courthouse Research, US Gen Web Project, Family History sites on the internet, Early CA Population Project, Find-A-Grave, Searching Cemeteries, Free Genealogy Web Sites, Vital Search, and Researching the Golden State. He has also prepared and spoken on history and research in County of Monterey. the l600s. He has published his mother’s Johnson Family History and has had an article on tracing Stephen Washburn from Connecticut to Vermont in the 1700’s published in the Mayflower Quarterly. More recently he has been researching his Chapman family line using YDNA markers to identify seven living male descendants with lines back to the original Robert Chapman who came from England to Old Saybrook, CT in 1636. This research has been published in the Winter 2011 issue of American Ancestors l2 (1); 44-45. Junel Davidsen is retired from 28 years of county government service with San Benito County Clerk / Recorder’s office and Monterey County Elections. Since retirement, she obtained an AA in Family Research Studies from Monterey Peninsula College. 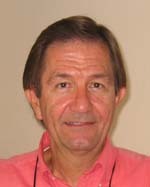 Junel’s work portfolio submitted to the Board for Certification of Genealogists in Washington, D.C, was approved in 2008. She has attended Salt Lake Genealogical Institute and national conferences, including Rootstech, the Association of Professional Genealogists, Federation of Genealogical Societies and National Genealogical Society. Since starting her genealogy projects in 1999, she has helped to reconnect members of several other families on a volunteer basis and coordinated the pioneer descendant search for the Washington Territorial Sesquicentennial kick—off celebration in 2002. In 2010, she researched locally for a PBS ‘Faces of America’ segment featuring Kristi Yamaguchi’s immigrant ancestor. 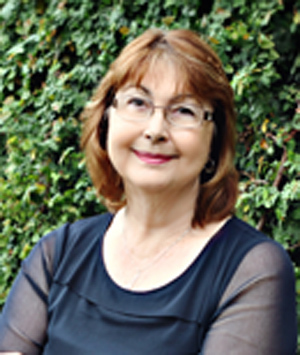 Junel has served as Secretary and President of the Monterey County Genealogy Society and Legislative Watch Chair for the California State Genealogical Alliance. She currently provides family history instruction for community groups and volunteers at the Family Search Center. Junel is a professional genealogist and heir searcher, specializing in courthouse records: familyrecord.vpweb.com/Home.html. Bill Hannah is a retired Army officer and defense contractor who has lived on the Monterey Peninsula since 1978, having arrived through the military. He is happily applying skills gained through undergraduate and graduate degrees (scientific disciplines) and through his career into his genealogical quests. Bill, a transplanted South Carolinian, has a rich family history from the Southern U.S., Midwest, and “across the pond” from the British Isles and especially Wales. Somehow, he became the family repository of miscellaneous hand-written trees, information, and artifacts; he fortunately hung onto these, and eventually decided to tie them into more serious research. Bill briefly dabbled into family trees in the ‘70s and ‘90s, but on retirement he got serious about a more rigorous approach to documenting the family genealogy. A recent project found him sorting, identifying, scanning, and organizing over 450 photos that he wound up with that range from the 1860s through the 1940s. Bill joined MoCoGenSo in 2010, and is appreciative of the workshops and help received through the society and the Family History Center. Dayna Jacobs, AG®, serves as a Commissioner on the International Commission for the Accreditation of Professional Genealogists, (ICAPGen℠), where she chairs the Public Relations Committee and facilitates the organization’s social media outreach via blog, Facebook, Twitter, and newsletter. Dayna also serves on the board of the Utah Genealogical Association and is one of five professionals accredited for U.S. Mountain West States research. She has been researching, teaching, and writing since 1988 and has been on staff at the Monterey, California Family History Center since 1998, where she serves as a consultant and was formerly the staff trainer and Assistant Director. Dayna has presented classes at the local Ancestor Roundup, the Northwest Genealogy Conference, the BYU Genealogy Conference, and the New England Regional Genealogy Conference. She enjoys educating and mentoring genealogists, and her genealogy blog, On Granny’s Trail, is a resource for Western States research and beyond. 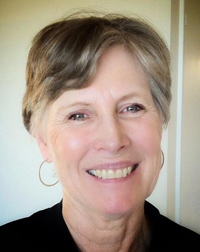 Connie is a Founding Member of the Monterey County Genealogical Society and has served as Member-at-Large, Newspaper Editor, Program Chairman, Past President and Auditor. She represented our society at the F GS Conference (Dallas) in 1997. She is a graduate of Salinas High School, Hartnell College and is an alumna of Howard Payne University of Brownwood, Texas. A student of southern genealogy, she has traced her heritage to a Certificate of Tennessee Ancestry-Settler/Pioneer and Daughter of the Confederacy. Her Mayflower lineage is to Stephen Hopkins, Nicholas Snow and eligibility in Jamestown Society. Cath Madden Trindle, Certified Genealogist, earned certificates of European Research from BYU and Genealogical Studies, Librarianship from the National Institute of Genealogical Studies. 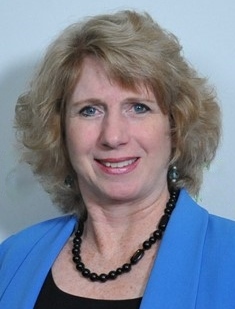 She writes society strategy columns for the CSGA newsletter, serves as Special Projects Chair and helped design and implement the online California Research Aid at http://www.csga.com. A long time member of the San Mateo CGS, she has edited the SMC Naturalization Indexes, the Schellens Collection Index, and coauthored the SMCGS Tree Climbing Guides and is currently Publications Chair. Her client research focus is California, however, personal research covers nearly every US state, Canadian province, and the British Isles. Prior speaking engagements include SCGS Jamboree, the Salt Lake Institute of Genealogy, FGS and societies throughout California. Shelley McFadden holds a BFA in Fine Arts from the University of Hawaii and is a retired RN from Community Hospital of the Monterey Peninsula. She has worked on and off for 30 years on her family genealogy. Her focus is on New England, Ohio, Pennsylvania, Delaware, Maryland and North and South Carolina. Shelley has served as Programs Chair, 1st Vice Present and Acting President of the Monterey County Genealogical Society. She is a member of the Aloha Chapter of the Daughters of the American Revolution in Honolulu, Hawaii, and an associate member of the Commodore Sloat Chapter, DAR. 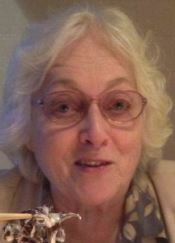 Pat, who is a native Californian, has lived in Spreckels all her life, and has been involved in Genealogy for 40 years. She is Past President of MoCoGenSo 1993-94 and President 2006-07. Pat has volunteered as a librarian at the FHC since 1992 and was the PERS1 accession person for 10 years. Her specialty is putting together binders for new students of genealogy. She has been a student in all of Karen Clifford’s classes, Beginning, Intermediate, Advanced—and was a speaker at the Carmel Foundation and the Northeast Carmel Neighbors Association. She worked in Karen Clifford’s Genealogy Office when located in Monterey. She has volunteered as an instructor at the DAR/FHC conferences for 10 years, Pat volunteered at the NGS Conference in Sacramento for a week and is a member of the DAR under James Buckley VA ancestor. the Tipton Family Association of America, Daughters of the American Revolution and the Cross Timbers Genealogy Society in Cooke County, Texas, as well as MoCoGenSo. Caroline joined MoCoGenSo in January 1997, hoping to find the name of her Tipton ancestor’s father. Simple enough? Not really. Nearly 20 years later, she is still searching for ‘the man from Tennessee’! 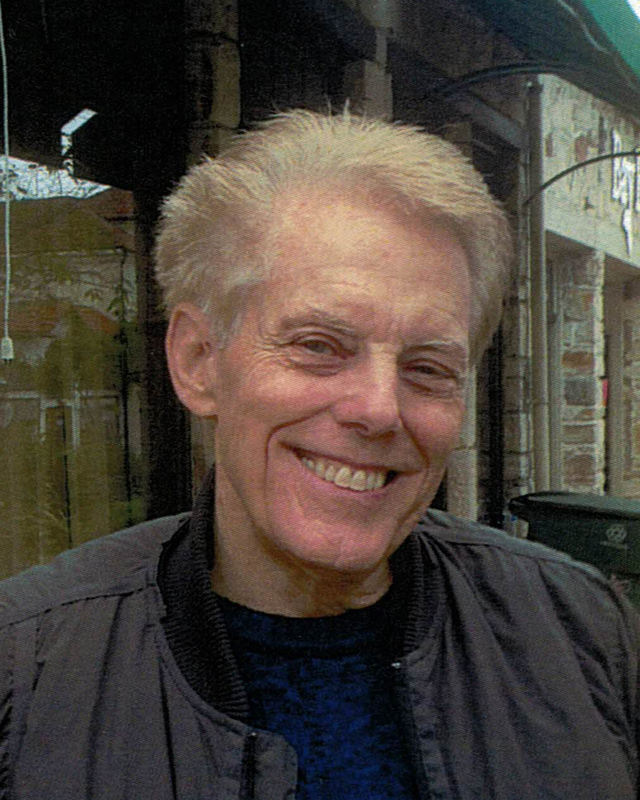 Stephen Morse is the creator of the One-Step Website for which he has received both the Lifetime Achievement Award and the outstanding Contribution Award from the International Association of Jewish Genealogical Societies, the Award of Merit from the National Genealogical Society, the first ever Excellence Award from the Association of Professional Genealogists, and two awards that he cannot pronounce from Polish Genealogical Societies. In his other life Morse is a computer professional with a doctorate degree in electrical engineering. He has held various research, development, and teaching positions, authored numerous technical papers, written four textbooks, and holds four patents, He is best known as the architect of the Intel 8086 (the granddaddy of today’s Pentium processor), which sparked the PC revolution 30 years ago. Kathy Nielsen is a Reference Librarian at the Monterey Public Library. She works at the Library Help Desk, and in the “California History Room.” Kathy earned a B.A. in History at the Univ. of California, Berkeley, and an M.A. in History at Hunter College, City Univ. of NY. After teaching history in schools for five years, she returned to U.C. Berkeley and obtained a Masters in Library Science. She then served as a school librarian. She incorporates her skills as a historian, a storyteller, and a librarian in her search for her family’s history. Dana Parry has a Bachelors Degree from Brigham Young University. She began researching her family records over 35 years ago when her husband was finishing his education. It has been an exciting journey learning about our ancestors and even reconnecting cousins who had lost touch. At about the same time, Dana started her first journal. Through the years, she has written her personal history several times in different ways. Dana and her husband have five children and six grandchildren. Tom Price, Society Historian, was born in Napa County, California in the middle of World War II. Tom earned a BA and MA from San Francisco State College in urban geography. In 1968, Tom served for a while as “Ranger Naturalists” at Badlands National Park, South Dakota. Later he became a teacher and taught in Salinas School District for thirty-six years before retiring. Ever since Tom was seven, he has collected family history in the form of postal cards, letters, photographs and documents, and has continued to do so ever since. In 1989, he attended his first DAR Roundup Conference. Tom took all of Karen Clifford’s genealogy classes at Hartnell College. He joined MoCoGenSo in 1990 and has served on the Board as Historian ever since, organizing and binding all paper records and MoCoGenSo Newsletters, with no end in sight. Tom plans to devote the rest of his life to his research and writing, and hopes for many more years to pursue the edge-less puzzle. Barbara Rae-Venter is a volunteer at the Monterey Family History Center and has completed the four course Family History series offered by Karen Clifford through Monterey Peninsula College. She has worked for about ten years on her own family history, which spans the globe from the British Isles to Canada, Australia and New Zealand. She uses primarily online research tools and has made extensive use of genetic testing of herself and multiple family members to supplement her research. Barbara earned a B.A. in Psychology and Biochemistry and a Ph.D. in Biology from the University of California at San Diego. She was an assistant professor at the University of Texas Medical Branch at Galveston where she taught Endocrinology and Biochemistry in the medical school and is the coauthor of several scientific papers in the field of cancer research. Jim has been an amateur genealogist for as long as he can remember. Family history interests range from Luxembourg. Germany, England and Ireland through Vermont and Pennsylvania into Iowa, Nebraska and Missouri. His family roots in this country can be traced back to early colonial days. Jim has used computers in his entire professional career, his first job was programming on a computer with 8KB of memory! Retired now, he is working on his genealogy “as often as he can!“ He has been using the internet for research since it became available, and is a long time user of Google. Jim is a member of the Monterey County Genealogical Society, is currently the Hospitality Director, the MoCoGenSo Webmaster and is a volunteer at the Family History Center. Karina Robinson is a Bay Area researcher and genealogist who specializes in the historical content and documentation of the Americas and Europe. She currently serves as special assistant to State Librarian Greg Lucas at the California State Library, where her focus is genealogical research and education. Karina received her B.A. from Mills College in art history and foreign languages (Spanish, German, and Italian), earned her M.A. 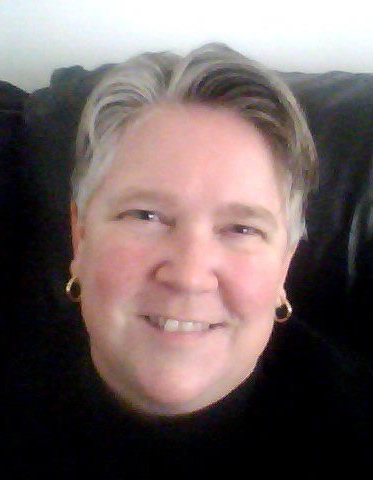 in history from Arizona State University, and has a Certificate in Genealogical Research from Boston University. 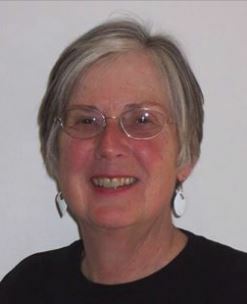 In addition to researching several hundred family histories, she has contributed scholarship to published monographs, including Dr. Anne Pruitt-Logan’s biography on Dr. Lucy Diggs Slowe, Faithful to the Task at Hand, and scholar Nancy Dallett’s At the Confluence of Change: A History of Tonto National Monument. She has also contributed articles to the online encyclopedia BlackPast.org and has given dozens of presentations throughout Northern California. An avid traveler, Karina has visited and conducted research in libraries and archives around the world. Computer Works has been proudly serving the Monterey Bay area since 1984. They sell computers and accessories, and perform maintenance and repairs on both Macs and PCs. Their friendly and knowledgeable staff will find a solution for any tech need. Caleb Smotherman was raised in Savannah, Tennessee. Having served in the military for 9 years, he is currently attending the Defense Language Institute in Monterey, studying Korean. He has used PowerPoint for about 10 years, and has received Microsoft Advanced Certificates in Excel, PowerPoint and SharePoint. He has worked for 4 years in Satellite Communications, and currently working in the Military Intelligence Branch, which uses exclusively Microsoft products for daily work. Caleb got started in genealogy because of his grandfather, and other close relatives who wanted to preserve the family genealogy electronically. He was able to bring his family tree to digital-life using PowerPoint! 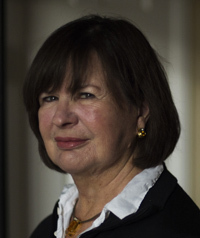 Kathleen Sonntag is a writer and editor. She also teaches computer literacy to individual clients, at local adult schools and MPC. Kathleen has edited and done the book layout for memoirs and recently completed a family history book that included extensive genealogy information. Her clients published their books for family members and for sale to the public. She enjoys research of all kinds and writes articles for the Monterey Bay Area Master Gardener quarterly online news- letter. She edits and contributes to the Tor House Foundation docent newsletter. Kathleen is a docent and archivist at Tor House. She lives in Carmel and enjoys daily walks by the sea where she watches for otters, whales and shore birds. Cynthia has been researching her family history and that of her husband for more than twenty years. She has an interest in several states; particularly Ohio, Pennsylvania, Michigan New York and Illinois. She has enjoyed pursuing her very large French Canadian family tree and has had recent success with her Holstein ancestors. Her most recent pursuits include a major study and writing about her husband’s Irish roots. Cynthia authored an article about her family research process, which was published in summer l998 by the Utah Genealogical Society Journal. She was a volunteer at the Family History Center for several years. Cynthia is delighted to return to speaking about her genealogy passion. As an Editor, Carol has worked for CTB/McGRAW-Hill, “This Month on the Monterey Peninsula Magazine,” and “KEY” magazine. As a Free-Lance Editor she has edited books about the Monterey Peninsula, a Children’s book, various Family History books, articles and speeches. Her interest in genealogy began when she was 19 years old during college after a visit with her great—grandmother who gave her originals and copies of family documents which, understanding their value, she carefully preserved as she raised her young family. After her introduction to the first Apple Computer she realized that computers were the future of genealogy and she was right. With each upgrade, now on PCs, she transferred her data and was ready when the internet became available. Facts were not enough, writing family histories became a central focus. While giving family history classes, she discovered most people were anxious to write about their ancestors but did not feel their own stories were important enough to devote the time to write about themselves. So, she developed a lesson “Writing Your History in One Hour” to make things simpler for everyone to write about their lifetime and help them understand that they were an important link in their own family history. Cynthia’s interest in genealogy began in high school by the pedigree chart and autobiography of great grandfather Alexander Sharp, a Union veteran of the Civil War. She was spurred on in early adulthood with the list of heirs for Aunt Maude Thompson who died intestate. Then there was that Reed-Dempsey reunion booklet picked up by her father containing 500+ names, including a Revolutionary War patriot. Computers made it all easier, and finding great grandfather Sharp’s name on a ship manifest from Scotland to America sealed the deal. Cynthia has a BA in French and an MBA in International Management. She currently works as a Vice President of Talent Management for HSBC. She is a member of the Association of Professional Genealogists. Serita Sue Woodburn has been involved in genealogical research since 2001 and has taken one of Karen Clifford’s courses at Monterey Peninsula College. She has been a volunteer librarian at the Family History Center for nine years. She focuses on research in Pennsylvania, Ohio, Indiana, Virginia, West Virginia and Maryland. 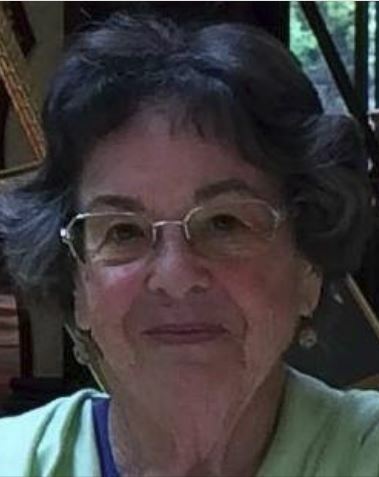 She is active in the Monterey County Genealogical Society (MOCOGENSO) and is a past regent of the Commodore Sloat Chapter of the Daughters of the American Revolution (DAR).